Visit Devon’s captivating coastline and experience what this beautiful county has to offer. Explore magnificent gardens, castles, cliffs, moorland park and medieval towns and discover the unspoilt beauty of the southwest with its stunning landscape and picturesque harbour towns. Board your luxury coach and start your journey to Devon, nicknamed the English Riviera. We travel by ferry to the UK and on the first night will stay in Bristol. This morning as we depart Bristol we begin with a visit to the stately home of Arlington Court, a family home for over 500 years and an unexpected jewel on the edge of Exmoor. 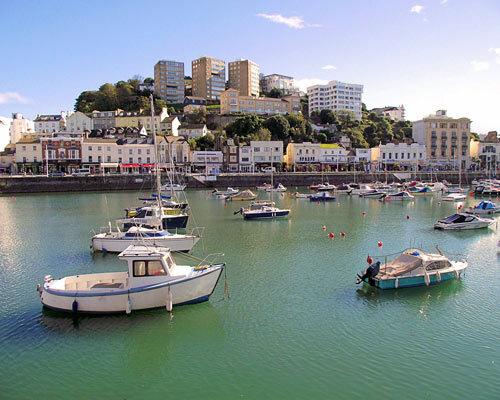 In the afternoon we will arrive to the south coast harbour town of Torquay, where we will be staying for the next three nights. 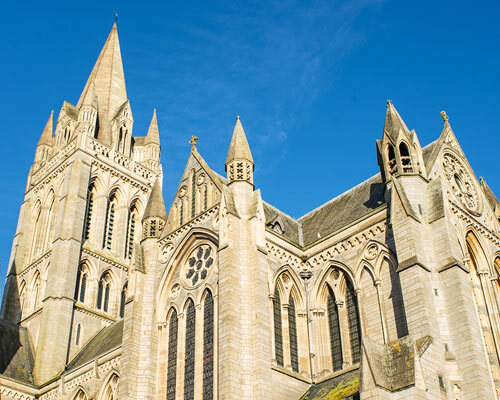 Our group will travel to nearby Cornwall to visit Truro, the UK’s most southerly city and a vibrant centre for shopping, culture and architecture. The city boasts a magnificent cathedral with gothic towers soaring over the city rooftops. We will also visit the city’s Royal Cornwall Museum. 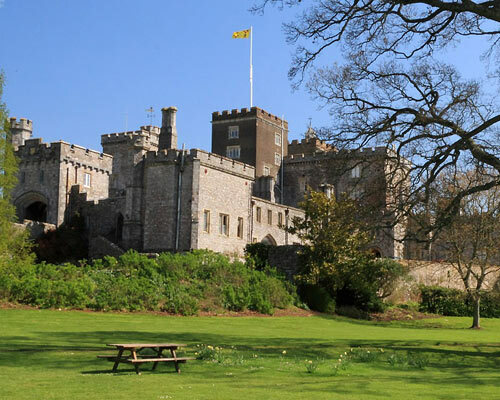 Enjoy a relaxing morning to explore Torquay at leisure before and afternoon visit to Powderham Castle, a 600-year old fortified manor house and home of the Earl and Countess of Devon. The Castle grounds include a Rose Garden, the Belvedere Tower, an American Garden, a Walled Garden and a Forge. Depart Torquay this morning, and enjoy a leisurely journey through the scenic Exmoor National Park to the twin towns of Lynmouth and Lynton. These two villages on the coast, one above the other, were known by the Victorians as Little Switzerland. Lynton is an attractive little village and 600 feet below is the small harbour of Lynmouth. The two villages are linked by a famous cliff railway. In the afternoon we return to Bristol. 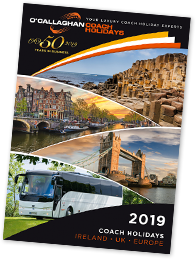 Board your luxury coach once more for your return ferry to Ireland.